Part of the Sidney retro style outdoor lighting range. 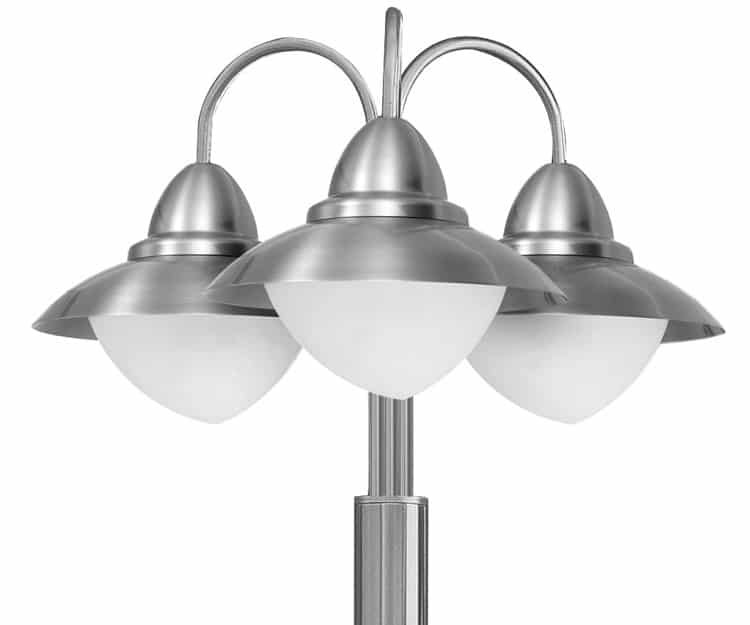 Quality outdoor three-head retro style garden lamp post constructed from high grade stainless steel, with a slender stem and three lantern heads, each with a domed cover and white satin glass shade. Rated IP44, suitable for outdoor use and perfect for use with low energy spiral lamps.